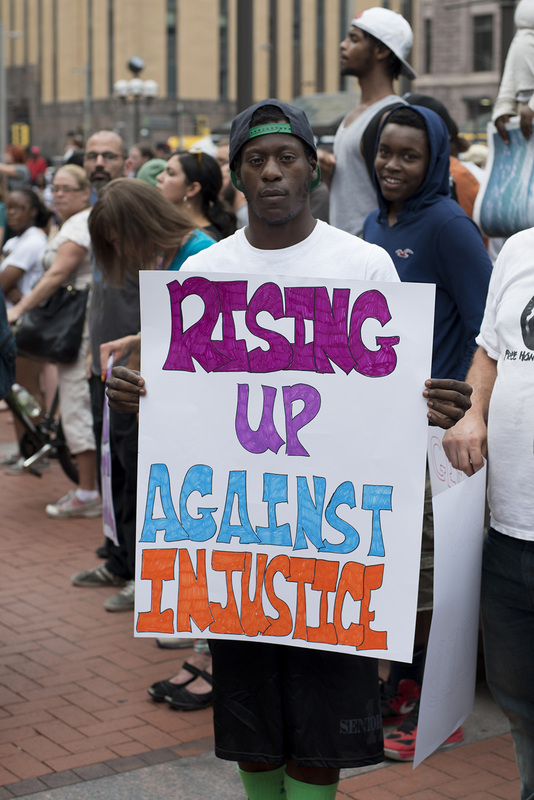 Two social issues that could lead to social injustice include affirmative action and racism, both of which are controversial issues in the current century. Some view these affirmative policies as socially unjust as they do not think that individuals should be chosen based on their race or gender but rather on merit. However, others in support of these policies claim that these affirmative action and equality of outcome policies mitigate social injustices from the past and represent the population proportionality. Racism: Racism, as defined generally by most dictionaries, is discriminating, acting hatefully or prejudiced towards someone else from a different background based on the idea that one’s own race is better. This can and has led to many social injustices and atrocities in the past, such as Apartheid and Nazi Germany. Today many have claimed a new definition of racism, stating that someone can only be racist if they find themselves in a position of structural power. This has led many to claim that there is still inherent racism in many countries and that this socially unjust structure needs to be dismantled, with the acknowledgement of what is termed ‘white privilege’, and create more space for minority voices in all institutions. Others have fired back, claiming that this conception of racism is simply left-wing rhetoric used to disguise a new form of racism against the white population, and push socialist agendas with cultural Marxism replacing the previous class-based Marxism.